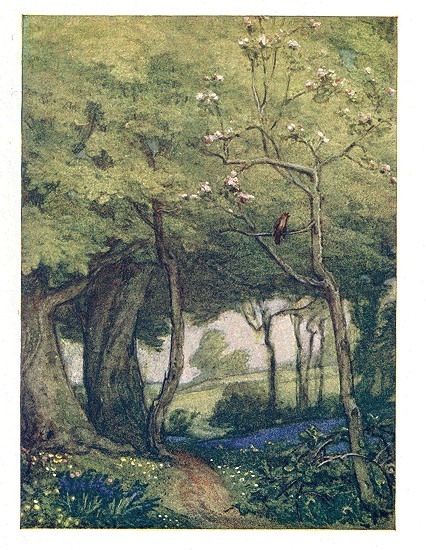 A serene painting of green trees surrounding a woodland path. This pretty landscape drawing has a flowering tree with a singing bird on a branch, flowers and a waterway in the background. There are just so many wonderful ways I could think of to use this pretty and copyright free forest drawing. Such a lovely image to illustate the poetry of Keats. It is the work of William James Neatby (1860-1910).